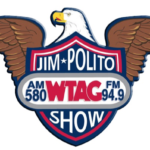 John Lott talked to Jim Bohannon on his show America in the Morning for a discussion of concealed handgun laws. This first clip is just 6 minutes long. Friday, February 20th, 2015 during the 5 AM hour.
. . . Eight people were inside the pharmacy in Pinch when the suspect came through the door about 9:45 a.m.
Kanawha deputies said the man, identified by Kanawha deputies as Terry Gillenwater, 25, of Quick, was wearing a mask over his face. John Lott was on the Steve Malzberg TV show on NewsMaxTV today. The video of the show is available here. Friday, February 20, 2015, 4:34 to 4:39 PM. Founder and president of the Crime Prevention Research Center and author of “More Guns, Less Crime” joins Steve to discuss how guns are helping to stop terrorists and how The New York Times is making up anti-gun information as well as whether or not the ATF is trying to neuter certain ammunitions in the U.S.